THIS PRODUCT IS AVAILABLE TO DEMO. Please call us at (206) 935-7669 to schedule. Imagine paddling your favorite coastline at a swift, steady pace. Then stepping back on the rail and digging in your paddle for a smooth, powerful turn. Firefly forward-mounted drives are fast, quiet and balanced ensuring great board responsiveness on the water. Have a board, we'll install the drive for only $ 1,335. Includes glassing a drive fitting into your board and rigging with a 2018 Firefly Drive. Firefly Motor: Based on state-of-the-art drone technology, this small electric motor generates an amazing amount of power to keep you zipping right along. Motor Support Shaft: Our motors are equipped with a patent pending support shaft that slides through your board for quick and easy rigging. Deck Side Connection: Secure the motor with a push pin, place the battery on the Velcro strip and connect the motor. Simple and effective. 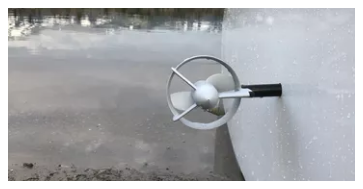 Adjustable Steering: The steering adapter can be rotated to go straight, or to bias steering to the left or right depending on if you're goofy or regular footed (surf lingo). Wireless Control: The wireless controller features a variable speed control slide bar and an auto-shut off for safety. Control At Your Fingertips: Speed control while paddling? Oh ya! Reach your finger over the handle for "on the fly" control. A Firefly Drive cruises your standup paddle board at a brisk speed of approximately 5 mph. Paddling will increase speed. We recommend running at full speed. This is close to the hull speed of the board keeping it fun and responsive on the water. * See footnote. Firefly batteries lasts 70 minutes at full speed. This gives you a range of 5 miles with single battery and a generous 10 miles with dual batteries. Running at slower speeds with increase your range. ** See footnote. Our Firefly 22 volt motors are made with ePropulsion technology and rated at 300 watts of continuous power to keep you zipping right along. Our waterproof lithium-ion batteries are rated at 330 watt-hours (Wh) of power. Add a second battery for a whooping 660 Wh of power for some serious touring. Batteries include LED indicators that continuously monitor your battery’s charge level. Using ePropulsion technology, our drives have the best weight to performance ratio (speed and range) in the industry. Our single battery drive system and motor weights 9.5 lb and a system with dual batteries weights in at a mere 15 lb. * Footnote on speed: Speed is based on testing boards that we sell. Tests are performed in calm water with a 170 lb rider without paddling. Speeds range from 5.0 mph on a 11‘ 6” x 31” surf style board to 5.7 mph on a 14’ x 27” displacement hull touring board. ** Footnote on range: Range is calculated as battery capacity in watt-hours/motor draw in watts = run time hours at full speed.